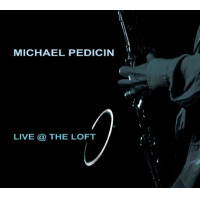 Jazz news: Tenor Saxophonist Michael Pedicin's New CD Features His Working Band "Live At The Loft"
Tenor Saxophonist Michael Pedicin's New CD Features His Working Band "Live At The Loft"
Tenor saxophonist Michael Pedicin fulfilled a longtime dream last fall by releasing an album of all ballads, a challenging form of which he is a master purveyor. 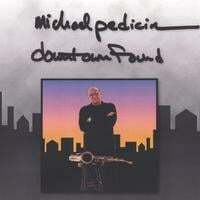 In the process Pedicin, whose 40-plus-year career has included tours with Dave Brubeck and Maynard Ferguson, experienced a new ease with the recording process and quickly made plans for his next CD. The result, Live at the Loft, is a bracing club date with his working group that his Jazz Hut label will release July 31. 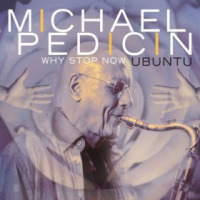 “I’m more comfortable now playing the saxophone, sounding the way I want, than I ever have in my life,” Pedicin says. A tenor man’s tenor man, he is devoted to what he described as the “raw, inside-your-body sound” of the classic players on the instrument. 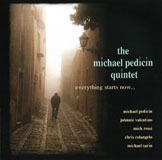 On the new disc, his 11th, Pedicin leads a quintet comprised of colleagues of many years’ standing—guitarist Johnnie Valentino, bassist Andy Lalasis, and drummer Bob Shomo—as well as pianist Jim Ridl, a more recent addition to the ensemble. The CD was produced by Joseph Donofrio, best known in the jazz world for his work on Pat Martino’s Grammy-nominated Blue Note recordings. The titular “Loft” refers to the second-floor, 60-seat space at the Sandi Pointe Bistro in southern New Jersey that Pedicin discovered when he used it to warm up for a previous performance at the venue. He liked the feel and sound of the room so much, he helped convert it to a nightclub and has since frequently performed there. It was a natural choice for recording the new album. Michael Pedicin, 64, grew up in a musical family in the Philadelphia suburbs. His father, alto saxophonist and singer Mike Pedicin, was an extremely popular entertainer and bandleader in the Philadelphia area who enjoyed a No. 1 Billboard pop chart hit in 1957 with “Shake a Hand.” By the time Pedicin Jr. was 13 and had heard saxophonist Willis “Gator Tail” Jackson in person and Coltrane and Cannonball Adderley on record, he knew he wanted to spend his life playing saxophone. At 20, Pedicin began earning his living as a member of the horn section at Philadelphia’s Sigma Sound Studios, where he worked for producers Kenny Gamble, Leon Huff, and Thom Bell, playing on sessions by such artists as the Spinners, the O’Jays, and Lou Rawls. He also went on the road with Maynard Ferguson, Stevie Wonder, and David Bowie. 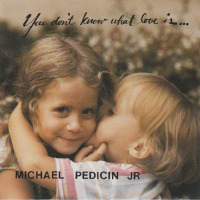 In 1980, Pedicin made his first album, Michael Pedicin Jr. (Philadelphia International), which yielded the surprise hit “You”—big in New York City and even bigger in the Philippines. Subsequently he toured with Brubeck, and was a mainstay in the Atlantic City casinos, hiring orchestras and playing behind such singers as Frank Sinatra. 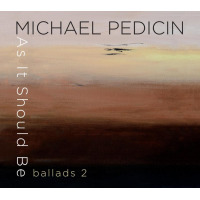 Pedicin has since played a lot of straight-ahead jazz, formed his Brubeck Project (which released its debut CD in early 2011 on Jazz Hut), and toured with such notables as guitarist Pat Martino. He also earned a Ph.D in psychology and, in addition to his musical activities, has a private psychology practice specializing in helping creative people. He’s an active educator as well, currently a Professor of Music and Coordinator of Jazz Studies at the Richard Stockton College of New Jersey. 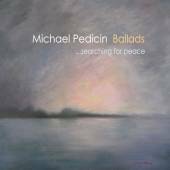 In support of Live at the Loft, Pedicin will be making his first West Coast appearances as a leader at Yoshi’s San Francisco 8/21, and at Vitello’s, Studio City, 8/23. Drummer Justin Faulkner (Branford Marsalis, Kurt Rosenwinkel) will be his special guest in the band, which also includes Johnnie Valentino on guitar, pianist Jim Ridl, and Chris Colangelo, bass. East Coast dates include 9/14 at Sandi Pointe in Somers Point, NJ, where Live at the Loft was recorded, and 9/15 at Chris’ Jazz Café in Philadelphia. Pedicin’s band will include Valentino and Ridl, plus bassist Andy Lalasis and drummer Bob Shomo.